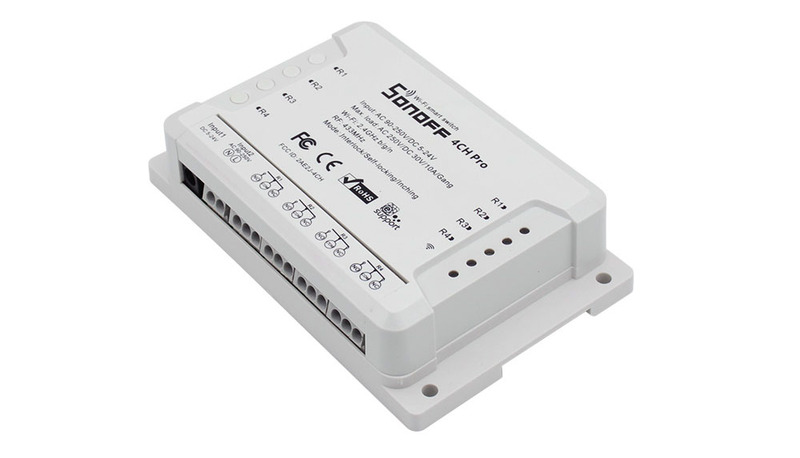 Note:Sonoff 4CH Pro R2 Support 433Mhz RF receiver. 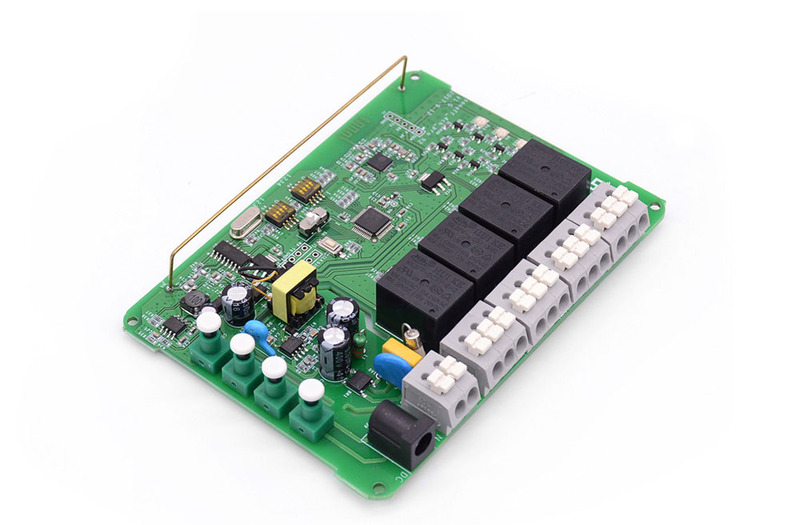 Users need to buy an extra RF remote control to control the product locally. 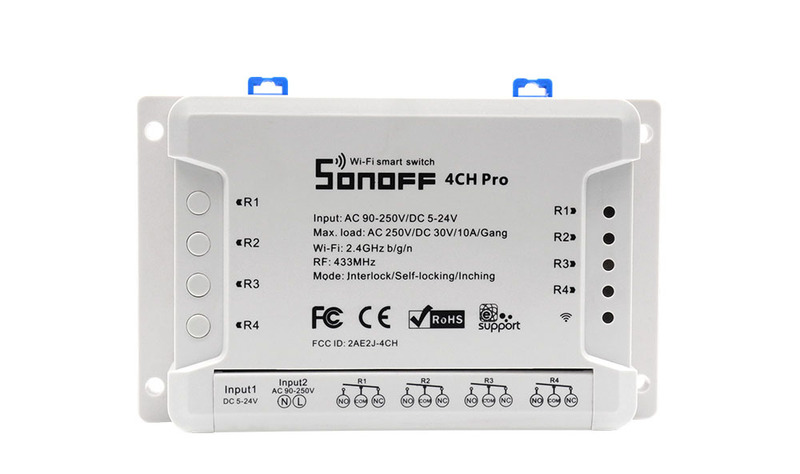 Sonoff 4CH Pro & 4CH Pro R2 are 4 gang WiFi switches. They support switching among 3 working modes: interlock/self-locking/inching mode. 4CH Pro supports to set 0.25-4s delay in inching mode, while 4CH Pro R2 supports to set 1-16s. This feature allows you to let your switch turn on for a few seconds then goes off, which works like a pulse switch. They integrate with a 433MHz RF receiver module, making them possible to be controlled by RF Remote. 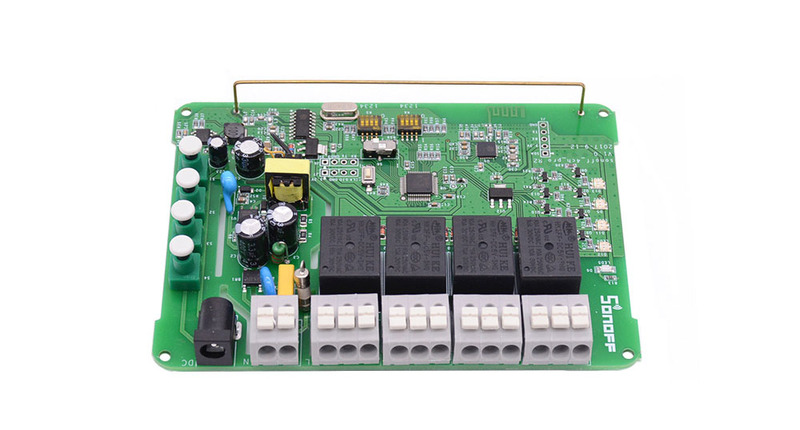 The Sonoff 4CH Pro smart switch is DIN Rail mounted. Users can remotely turn on/off the connected lights/appliances by iOS/Android App eWeLink or 433MHz RF Remote. They can create 8 enabled single/repeat/countdown timers to automatically turn on/off at the specified time. The timers can run themselves even when the network is unavailable. 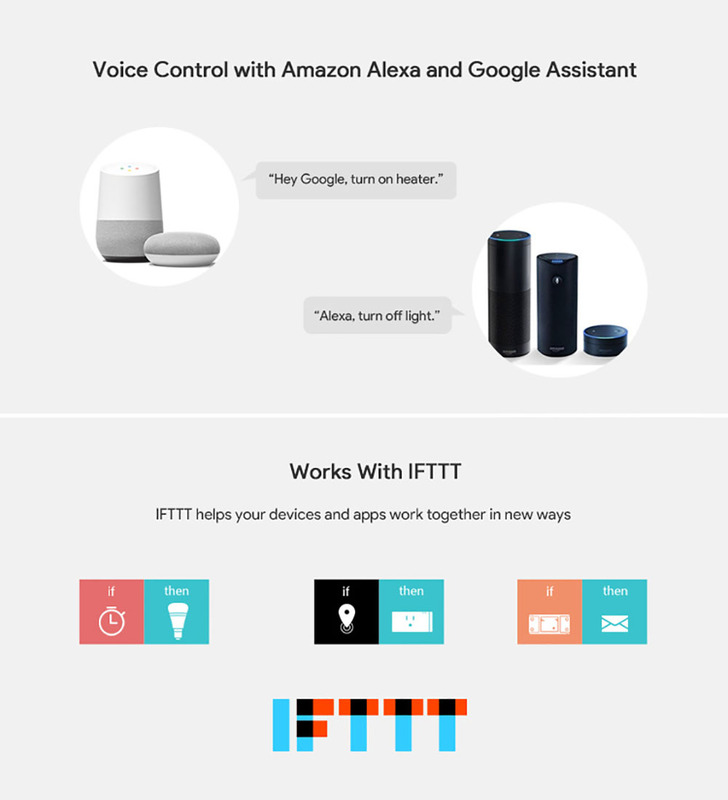 To let the devices be controlled by their family, users can simply share the devices with their accounts and allow specified timers permissions. They can even create some scenes or smart scenes to trigger ON/OFF the switch.